ARLY LARIVIERE IS TO BLAME FOR PIPO NOT MAKING AN IMPACT IN NU LOOK SAYS THIS HMI PROMOTER: SEE WHO SAID IT & WHY + TVICE LABOR DAY WAKEUP CALL! 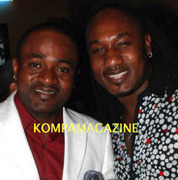 *ARLY LARIVIERE IS TO BLAME FOR PIPO NOT MAKING AN IMPACT IN NU LOOK SAYS THIS HMI PROMOTER: SEE WHO SAID IT & WHY! *TVICE LABOR DAY WAKEUP CALL!